Hopefully you’ve heard the news that Google’s shown off the first glimpses of their upcoming Chrome operating system. If you haven’t, check out our video for an overview of what to expect. Google’s ideas are solid and their execution already looks extremely well thought out, but there’s going to be some pretty hefty struggles to make it a success. 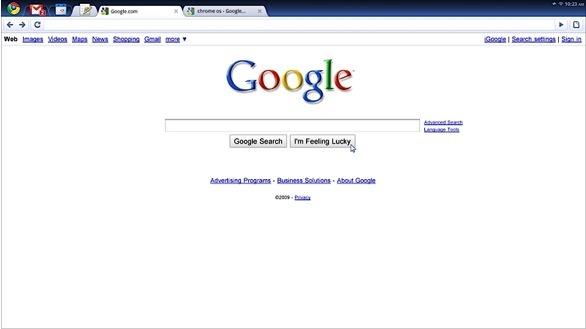 Google has already announced its plans for a launch during the second half of 2010. At first, they’re going to be shipping the lightweight OS on netbooks with hopes to expand the platform onto desktops. I’m not sure how desktop users are going to give up a more advanced operating system for something that strictly runs off web apps. People do use applications that don’t require the web and all web apps would be available on any computer, regardless of OS. Google may find selling this experience to an average consumer a bit more difficult. For tech heads like us, it’s something we can comprehend and justify. The average consumer who is much less informed will certainly find this alternative confusing. Another operating system that is only a browser? Mass adoption is going to be difficult as the population resists the conversion, sticking with what they already know. Hopefully, we’ll see the Chrome web browser absorb some many of the characteristics of the Chrome OS. It’d be great to have those pinned tabs for web apps and popup panels within the browser reducing clutter. Essentially, the Chrome OS could be ported into the browser we use on our desktops. Moving this type of functionality into our desktop experience could really help Chrome outshine nearly every other browser. It’d certainly encourage the creation of more web applications and might help push the adoption of Chrome OS. I think it might be a bit too soon for an OS to be completely dependent upon the internet. Not all consumers trust the cloud when they hear of data losses hitting the Sidekick. Consumer habits don’t always change unless it’s forced upon them, so maybe Google is trying to accelerate our move to the cloud. Chrome OS is unlike anything that we’ve seen before and it might just breathe new life into the netbook market. Would you consider giving up your desktop OS for Google’s offering? Is the Chrome OS better off as a browser? Let us know what you make of all this Google news.